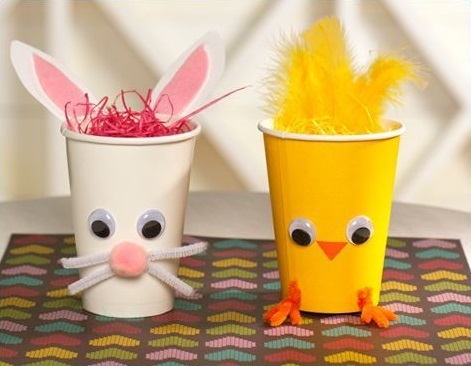 These adorable bunny and chick displays are made of nothing more than disposable plastic cups, pipe cleaners, and glue. They’re easy and quick to make. Get your kids involved in the wonderful family experience of hand made Easter crafts!